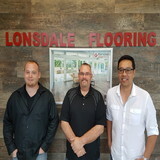 North Shore’s Most Trusted Name in Flooring Since 1960! 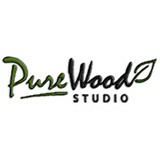 Pure Wood Studio was conceived to serve the needs of homeowners, interior designers and building professionals seeking quality, innovative products to incorporate in their Residential, Commercial and Multi-Family Development projects. Pure Wood Studio ensures its reliability and convenience as a product source by staying on top of market trends and providing top-notch customer service. Our founders have a long history of success in servicing the design and construction industry. Pure Wood Studio is a division of Vancouver-based Peter Ross Group of Companies, a third generation, family-owned business that has offered high quality building products since 1967. Classic yet contemporary, hardwood floors are one of the most beautiful types of flooring a home can have. However, if not installed correctly or damaged, a floor can threaten a home’s entire interior aesthetic. That’s where North Vancouver, BC hardwood flooring installers and dealers step in. Whether you need a hardwood floor installation or replacement, or just want some guidance on the types of hardwood flooring available, these North Vancouver flooring pros can help. What kinds of services do hardwood flooring installation professionals in North Vancouver, BC provide? 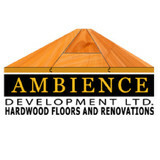 Find hardwood floor experts in North Vancouver, BC on Houzz. Search the Professionals section for North Vancouver, BC hardwood flooring installers and dealers or browse North Vancouver, BC photos of completed installations and look for the professional’s contact information.